Had this since imaging in July but not good enough to post, reorocessed with the latest PS CC, and improved it a bit. 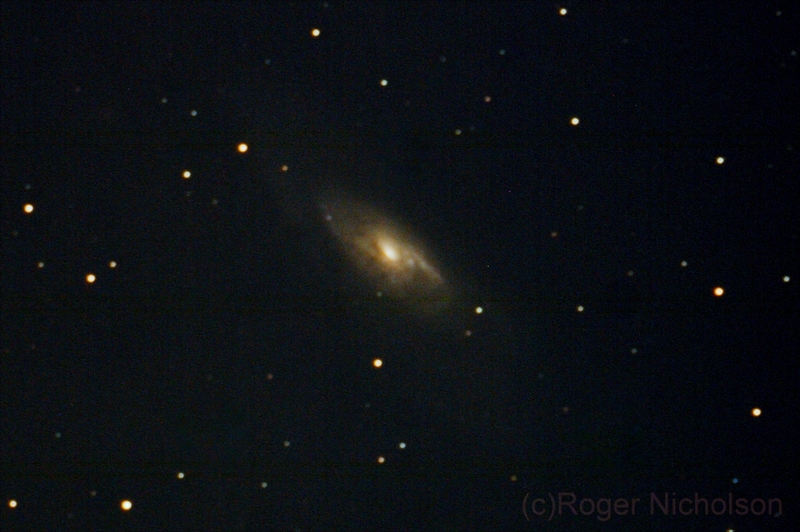 There were 3 large dust specks on it and processed them out nicely , interested if anyone can find where they were. no darks or flats that i can find. I suspect near the bottom on both left and right, but you did a good job removing them. This is a difficult target to get the outer spiral arms even with a CCD camera, so for a DSLR and a beginner you've done very well. The three i removed were a triangle around the spiral. Thanks Carole n John p.
You've captured faint spiral arms there! It looks slightly out of focus to me - you need to nail that focus. Yes at the time i didn't have a bahtinov but do now and always focus on my alignment star.